Does your child love animals, stuffed or alive? Does he/she play enjoy playing doctors with their toys? Well then, the app I’m about to review today should interest you: Dr. PetPlay by developers Pretendasaurus. As the name suggests, Dr. PetPlay allows kids to imagine themselves as vets for their stuffed animals. Juniors start playing by choosing their animals: cat, dog, bear, rabbit, horse, elephant, monkey, bird, brontosaurus or T-Rex. They then take a photo and (optionally) supply additional information such as the animal’s name, gender, age, and weight. Next, juniors start recording their patient’s symptoms. This includes answering yes/no questions; for example, is the patient sleeping or eating? They also point out how their patient is feeling by choosing an expression: smiling, neutral, or frowning. To make the experience seems more authentic, the app includes an interactive X-Ray mode which can be zoomed in and drawn on, as well as a temperature/heartbeat monitor which can be operated freely by the child. Once an animal has been thoroughly examined, kids may restart the process for the next patient. The app saves the information for every patient so it can be accessed in future plays. Dr. PetPlay is not a game. It is a toy which juniors can use to facilitate their imaginary play. The app is therefore open ended. It does not employ rules, scores, or timers. It is up to the child to use the app as they see fit. It should be noted that while using stuffed toys can enhance the overall playing experience, it is also not a necessity. Kids can opt to use other toys or their drawings instead. The app is designed for kids ages 6–10. Kids can use the app alone, but I would recommended at least two people play together to encourage cooperative role play. The players can then take turns pretending to be the vet or the animal’s caretaker. Parents and other family members can also join in on the fun. Dr. PetPlay does not contain ads or in-app purchases. It includes an external link for reviewing the app, but the link is kept within a gated parental section. I’m always up for apps that encourage kids to be imaginative and creative, and that is exactly what Dr. PetPlay does. I like how the app only facilitates the play session instead of directing it, so kids must come up with activities on their own. The fact that the app encourages cooperative role play is also a huge benefit. Many educational apps are designed for single players, and while it is not necessarily a bad thing, I do feel that juniors should also learn to socialize and cooperate with others. Dr. PetPlay makes playing together more fun. Dr. PetPlay also has a solid interface. It is simple, intuitive, and distraction-free. The X-Ray mode and the heartbeat monitor are a lot of fun. They really enhance the playing experience. Dr. PetPlay lets juniors role play as doctors for their stuffed animals. It is not a game, but a toy to facilitate imaginative and cooperative play. Fun features include twelve animals to play with and an interactive X-Ray mode. Overall, it’s a fantastic app that is sure to provide hours of fun for juniors. 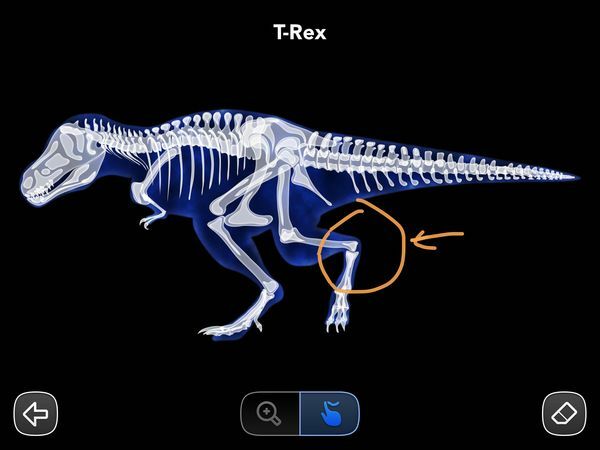 Please note that Dr. PetPlay requires iPad 2 or newer because it utilizes the device’s camera.